This would be consistent from the messaging from Transport Minister Phil Twyford as he begins to make his mark on the Transport portfolio. 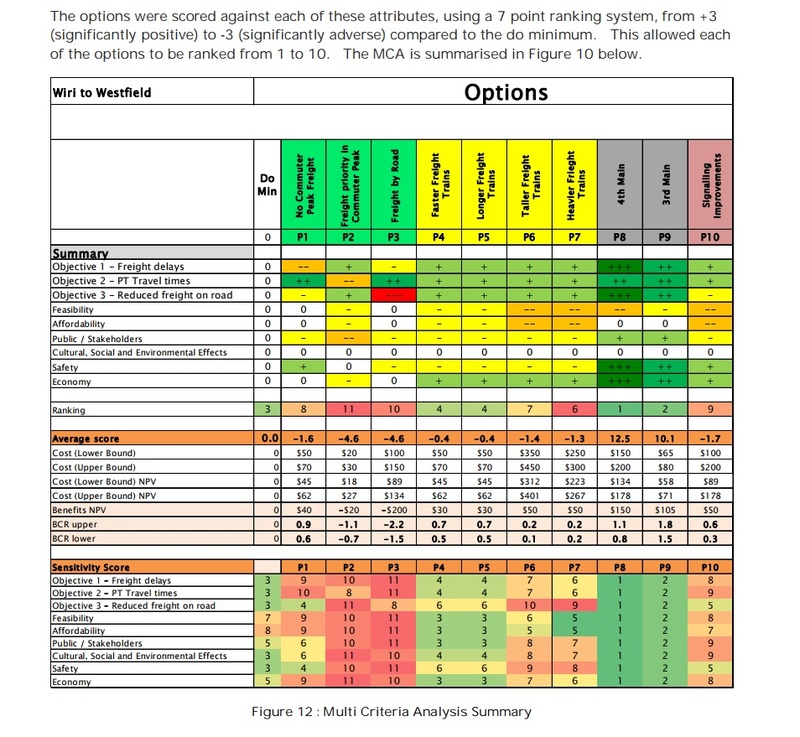 Already the $1.85b East West Link Option F has been scrapped and will be replaced by its Option B counterpart at one-third the price with a Benefit Cost Ratio over 2.0 (compared to 0.95 for Option F). The savings there are to be invested into the Airport Lines (northern and southern). Looking at the comments from the Prime Minister it would seem more roading projects are about to get the axe or at least scaled back. 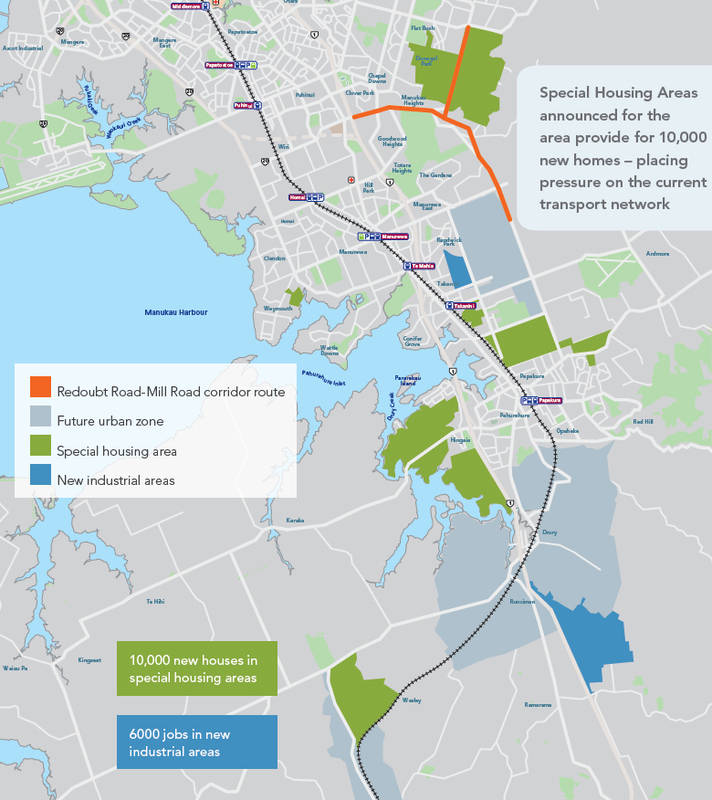 That will include the $850m Mill Road corridor project which was four lane-ing Redoubt Road from the Southern Motorway through to Mill Road and down to the Alfriston Road roundabout next to the school. The project was a typical over-scaled project not designed to reduce congestion at all. Given the cost Auckland Council were trying to fob the project off to NZTA and was something the last administration was going to explore. However, something tells me Mill Road is about to be scaled back to a basic safety upgrade including kerbs, drainage, cycle lanes, a viaduct and possible some new roundabouts especially at the Murphy’s Road intersection. What happens to the southern section of the corridor (Papakura to Drury) is yet to be seen but so far it has always been unfunded. Northwestern Busway – AT make the below comment. Hopefully the government will provide some guidance soon. 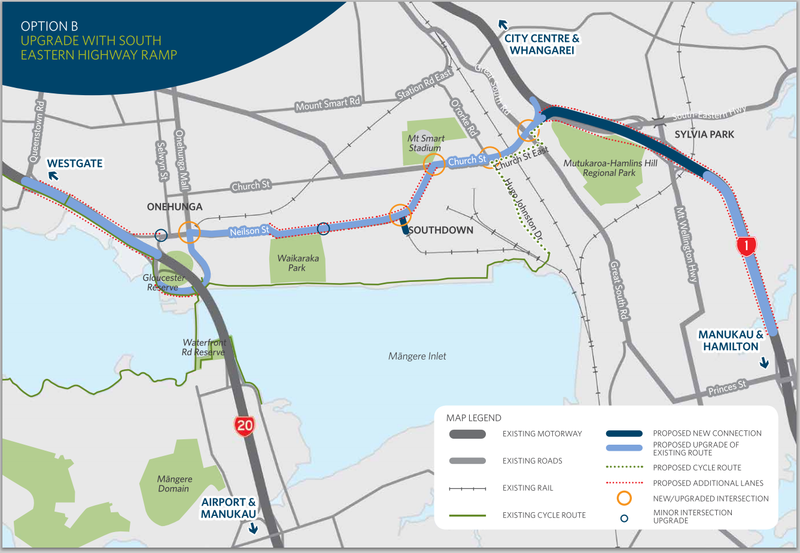 AT and NZTA have continued to hold off on commencing public engagement on the proposed Northwestern Busway, whilst awaiting confirmation of new government policy direction. Work continues however on the business case for the project, which will be necessary regardless of the policy direction. AT continues to work with NZTA regarding their emerging plans for a future additional Waitemata harbour crossing and how this integrates with AT’s planning for the development of the North Shore rapid transit network. AT will shortly commence procurement for business case for developing the Airport to Botany mass transit corridor as part of improving access to the airport. The business case will also focus on developing a staged upgrade of the Puhinui rail station to a full bus/rail interchange by 2020. AT is also continuing to progress a business case for the route protection of the Airport to City mass transit corridor. 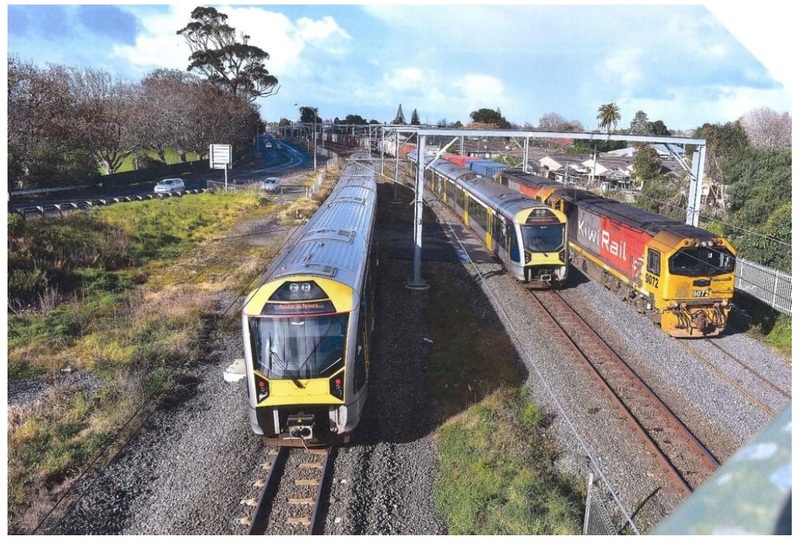 Rail development – It appears AT and Kiwirail are pushing for a many of the much-needed rail infrastructure project in Auckland and are hoping for funding from the new government. 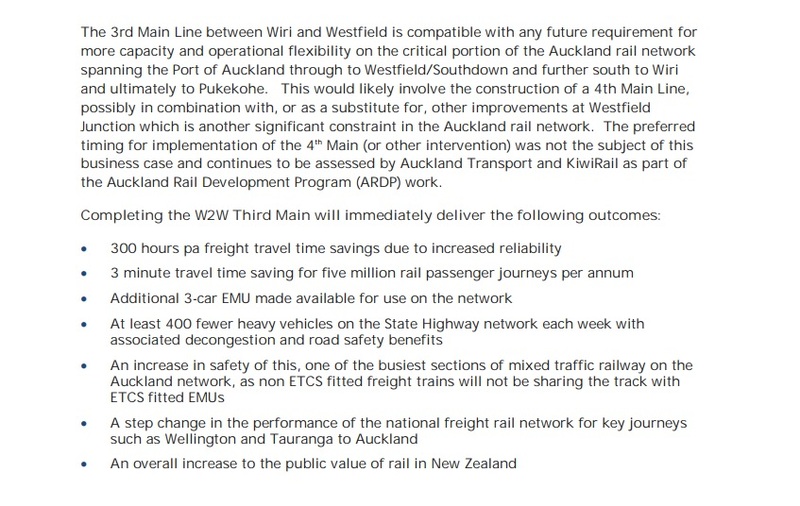 AT continue to work with KiwiRail to secure funding for capacity and resilience upgrades to the heavy rail network. KiwiRail submitted funding bids for Budget 18 in November which included: Electrification Papakura to Pukekohe; 3rd Main (Wiri to Westfield, Westfield Jcn and Quay Park); Network Renewals; Additional Power Feed; and the Northern Train Control Centre. We are currently awaiting feedback on these bids. Takanini and Te Mahia Station Upgrades – These are the only two stations that have never been upgraded. AT now say they’re working through the designs, although given Te Mahia’s super low usage, it should really be closed (like was initially intended). It should be noted that the Tender documents for the Southern Airport Line are already out: Airport Lines, The Airport Access Business Case and Light Rail. Dominoes all falling into place! Hopefully Minster Twyford will be making a major case of getting the Third Main and Pukekohe Electrification over the line.